Many places claim to be unisex but mine is the only truly inclusive waxing studio where both guys and girls are treated the same, and I'm proud of that. I'm also proud of the fact that Reef is not a beauty salon. I remove hair and perform remedial massage - that's pretty much the bulk of it, and without a doubt, Men's Waxing is a big part of the job. 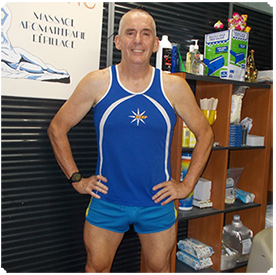 I've been waxing for almost 20 years, and my old shop in Brisbane was the very first Male Waxing studio in Queensland. Throughout the beauty industry, Reef is regarded as THE pioneer and specialist studio. That's not a boast, but some serious comfort for guys who are considering a first time wax and don't know who to trust. Below you'll find info, prices, tips, plus answers to every question under the sun. 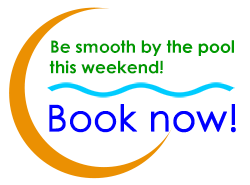 Call me on 4926 7778 or 0422 276 202 if you have any questions or to make a booking. You can also book online. Men's Bikini and Brazilian Waxing has its own page - Click here. Wear loose fitting clothing to your treatment. If you are receiving a Male Brazilian Wax, ensure that you wear undies made of cotton so the skin can breathe, or alternatively, wear none. Don't wear silks or satins until the skin has calmed. When you come in, you will be given a Waxing After-Care Sheet. This is not junk mail. Read it. Use a proper after-wax lotion for at least a day after the treatment, and again when regrowth begins to appear. A bottle of Caron After Wax Lotion costs $18 and will last you several treatments. Extra tip: It's great for after shaving your legs too. Get in the habit of moisturising. Regularly nourishing the skin will keep in soft and supple, and makes a huge difference to what you feel during your waxing treatment. Do many guys get waxed? What do they wax? Everything. To date, our youngest male waxing client is an 11 year old cycling star, and our oldest an 87 year old great-grandfather who wanted to surprise his wife for their 60th anniversary. The range and reasons are diverse, and chances are, our clients are not so different to you. Why do guys get waxed? Guys usually get waxed to satisfy their sense of self-image, or because their partners prefer the smooth look. Waxing can also be cultural, attaching itself to certain professions, and not the ones you'd expect. 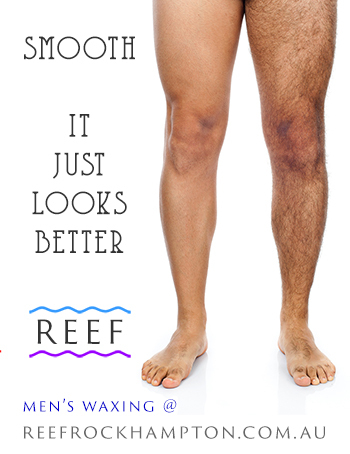 Most of Reef's waxing clients are people in the public eye - teachers, police, retail workers, doctors, and lawyers. You can't get more mainstream than that. A salon told me they were Reef Beauty Certified. What does this mean? Some salons send their staff to me for Mens Brazilian Wax training. The therapists receive a certificate upon completion listing details of their particular level of skill. It is important to note that I only accredit individual therapists, not the entire salon. Any therapist making the claim that they trained with me will be happy to present their credentials. Please don't contact me to find out details of a particular therapist who has undergone training with me, as this is confidential information.